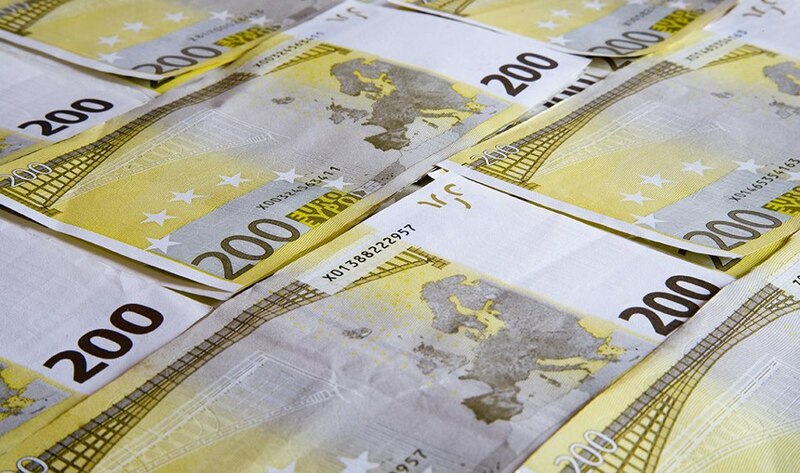 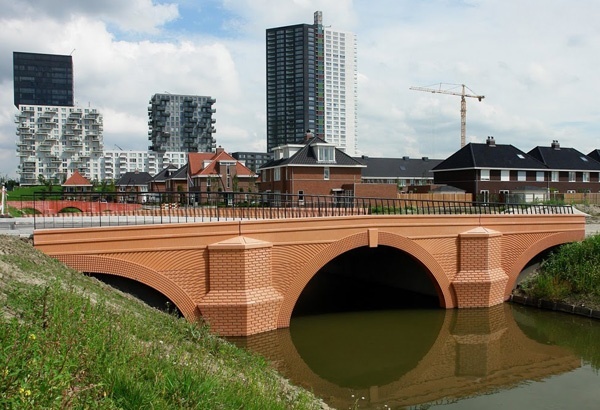 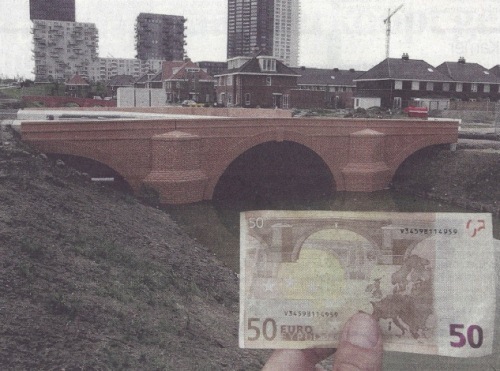 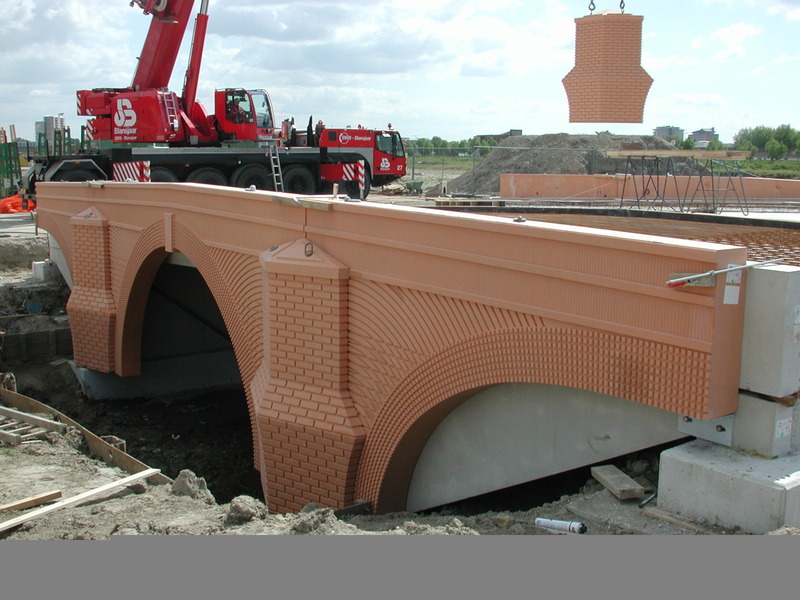 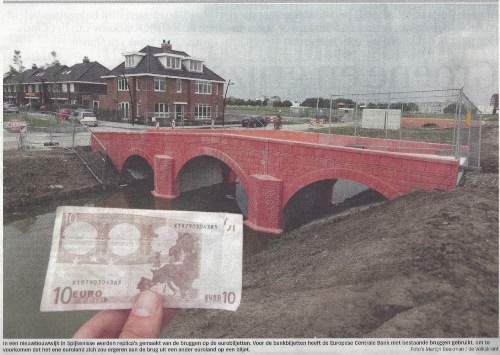 Inspired by the fictional and country-neutral bridges depicted on the Euro banknotes, Dutch design-studio Robin Stam decided to create the bridges in real life. 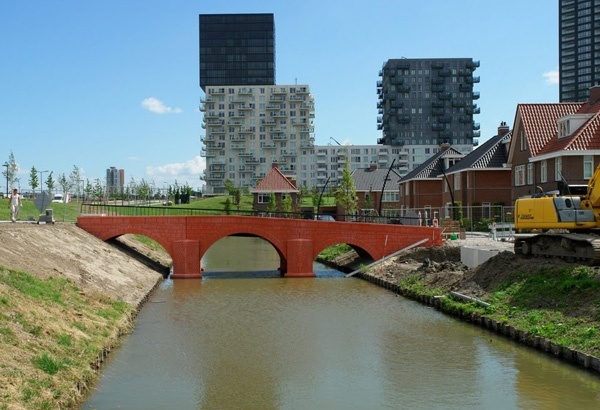 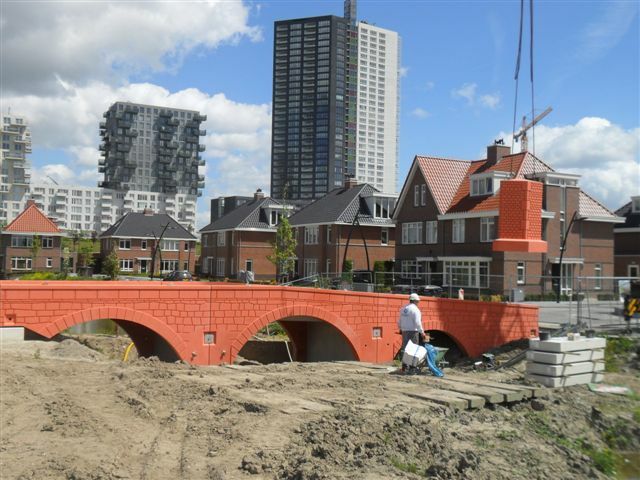 A city-development project in Rotterdam heard of the idea, spotted a PR-opportunity and offered to collaborate and construct all seven bridges in the new urban residential area Spijkenisse just outside of Rotterdam. 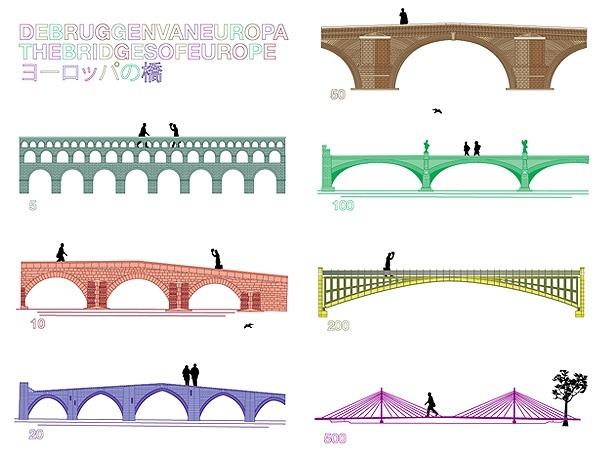 All seven bridges have now been completed.